Stamped Sophisticates: Today is the first day to Pre-Order the Stamparatus Stamp Positioning Tool from Stampin' Up! Today is the first day to Pre-Order the Stamparatus Stamp Positioning Tool from Stampin' Up! Today is the first pre-order window for the Stamparatus stamp positioning tool from Stamping up. Demonstrators went wild when Sara Douglas, Stampin' Up!s CEO, demonstrated this new product at our Salt Lake City event last week. If you've ever stamped a partial stamp image or had trouble lining up a two-step or three-step stamp, you will love this new stamp positioning tool. It is a must-have to add to the top of your Christmas Wish List. Ask your honey if you can pick your own present this year. Tell him or her that while you appreciate them going to the mall to pick out something special for you, that this year he or she won't have to even go out shopping for you because you'll take care of it yourself, and you won't have to pay for your Stamparatus until it ships approximately February 1! Check it out above! Did you notice that you can used 4 surfaces for placing your stamps? Position your stamps once, The plates are reversible. Once all your stamps are in place, use the included magnets to hold your paper in place, then quickly stamp your perfectly aligned 2-step, 3-step, or 4-step stamps. Quickly make several cards, without the waste of trying and failing to line up a multi-step stamp set. 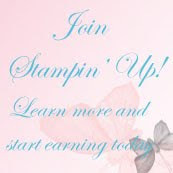 Its big news and you'll fall in love with stamping all over again when you learn everything you can do with it! Still need more info and want to watch a video demo? Visit my blog post from Monday. 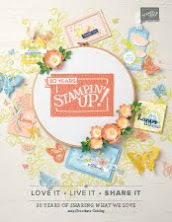 Normally you order Stampin' Up! product through the online store: in this case you will click the RESERVE link on the Stamparatus page which will take you to the reservation page for both customers and demonstrators. For step by step instructions, use the How to Reserve Your Stamparatus Tutorial for Customers. When inventory arrives in the warehouse, your Stamparatus will be added to a shopping card. Stampin' Up! will send you an email notification that your Stamparatus order is ready. 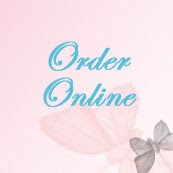 Ready to place an order? 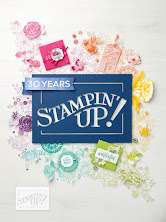 At 3 PM Central,visit my Stampin' Up! store.